Photos above by John Burgess, Jonathan Gibson, MamLuft&Co. Dance. 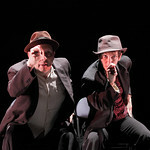 Contemporary Dance Theater has been a staunch supporter of local performing artists since its formation in 1972. One of the dance organization’s longest-running programs is a presentation of local and regional artists as its season-closer. The Area Choreographers Festival is a celebration of the region’s contemporary choreographers and performers. The 2014 Area Choreographers Festival celebrates a special, first-of-its-kind collaboration: Contemporary Dance Theater is partnering with its neighbor, Llanfair Retirement Community to create four of the seven festival works. The collection of works by Ka-Ron Brown Lehman, Judith Mikita, Nikki Wetter, and Steven Evans is referred to as “Chronicles” and captures the life stories of its residents through modern dance performance. In addition to the “Chronicles” Llanfair project choreographers, Contemporary Dance Theater also proudly presents the works of Jeri Gatch, Diane Germaine, and Leslie Dworkin, who are all Area Choreographers Festival “repeats.” Read more here. Join us as we celebrate our area’s very own dance artists! Dancers are invited to the rare opportunity of taking class with a Area Choreographers Festival artist, Nikki Wetter at Contemporary Dance Theater’s studios in College Hill on Saturday, June 14, 2014 from 10:30am-12:00pm. $15 in advance payable here, or $19-20 at-the-door. An Area Choreographers Festival veteran, choreographer Ka-Ron Brown Lehman is the former Artistic Director at the famed Los Angeles County High School for the Arts’ Dance Department. Her new work, “The Last Train,” was inspired by Llanfair resident Margret Mailly’s watercolor paintings. Ms. Lehman’s piece reveals what happens to an elderly man who is suspended in time and allowed to re-visit missed opportunities for true love. Another “CDT” veteran, Judith Mikita found inspiration for her work “Too Many Sad Stories” from Llanfair residents Jan Lykins, as well as Bill and Peggy Kehrer. Ms. Lykins surmounted the grief of complications with two children at birth, and the Kehrers found joy together after Bill Kehrer’s service in the Korean War. Ms. Mikita’s work uses projections by photographer-designer Jonathan Gibson. 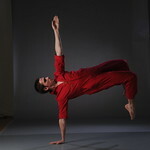 Steven Evans (a first-year performer in modern dance company MamLuft&Co. Dance) makes his Cincinnati choreographic debut in “Successions,” inspired by changes occurring throughout the lives of Llanfair residents’ Sharon Cusick and Joyce Uetrecht. Nikki Wetter also makes her Cincinnati debut with “Bridged.” A graduate of Wright State University and Dayton Contemporary Dance Company 2, Ms. Wetter drew inspiration from two Llanfair residents’ love stories: one about a love’s beginning, and one about a love’s end. Jeri Deckard Gatch (a teaching artist, choreographer, and arts advocate) will premiere “The Year of Dreams.” Throughout a two-year process, Ms. Gatch and her collaborating artist-performers created a work minute-by-minute, month-by-month, thereby encapsulating change over the course of time. “The Year of Dreams” laces these moments together as a dream-filled night that travels through varying cycles of sleep and awareness. Diane Germaine is a choreographer and writer originally from New York City who has won a number of choreography awards and has taught nationally and abroad. Germaine’s work, “The Empty Room,” finds an individual caught between an intense recognition of people actively engaged in living all around her (or in her memory), but is, yet, unable to feel or be a part of it. Leslie Dworkin is a recipient of numerous grants and fellowships, and a dance artist and choreographer who has performed in the works of such dance luminaries as Ralph Lemon, Mauren Fleming, and Bebe Miller. Ms. Dworkin will perform “The Beast,” a solo that channels the stars of silent film, articulating the immigrant’s experience by portraying the grit in surviving, the pathos of loss, and the wit and charm of a hopeful outsider. Can’t commit to all 5? You can still save money with a 3-show subscription. 4 vouchers to use in any combination for any shows! Single tickets will be available starting October 1. The Contemporary Dance Theater Guest Artist Series is sponsored by The Otto M. Budig Family Foundation and is supported by the thousands of people who give generously to the ArtsWave Community Campaign. Support also comes from the National Endowment for the Arts, a public agency dedicated to supporting excellence in the arts, both new and established; bringing the arts to all Americans; and providing leadership in arts education. Contemporary Dance Theater is also supported by The Ohio Arts Council, a state agency that supports public programs in the arts, as well as through gifts from the Robert J. Crosset Family Fund of the Greater Cincinnati Foundation and the Warrington Foundation.